DropBox is easily one of the leading cloud storage services, but it isn’t perfect. In the past, they’ve had a few data breaches and as a US-based firm, some people are fearful that the NSA will make future attempts at coercing them into forfeiting user data. For the average user, however, who doesn’t have top-secret files (e.g. inconsequential files like entertainment media, video, music libraries, etc. ), they’re a low cost and easy to use cloud storage option. But with any piece of software, the devil is in the details of the interface. Most people don’t want to dig through each and every option to find out how the software works. For that reason, DropBox created the concept of a shared folder. After you install DropBox, there will be a designated “DropBox Folder,” and any data stored within this special folder will be automatically backed up and synced to the cloud. However, a lot of users would like the ability to sift through their file system, and to cherry pick certain folders for automatic backup and syncing. Fortunately, DropBox has this capability, as we’ll discuss next. Step 1: Click on DropBox in the System Tray, and then click on the small gear image and choose preferences. Step 2: Click on the Account section. Step 3: Next, select the Selective Sync option. Step 4: A popup window will be presented, which will display all of the folders within your DropBox configuration. All of the folders that have a check mark will be synced to your local machine. Simply check the folders you wish to sync and disable any folders you don’t wish to sync. It might be a good idea to use folders labeled for their intended operating system, too. 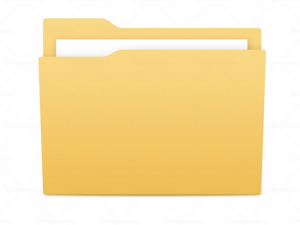 For example, if you’re a Linux user, you may want to have a special Linux directory so you can sort files from being synced to a Windows environment. Step 5: Now click the OK button. If any of the folders you had deselected were already present in your local file system, they will be removed (they’ll still be available within DropBox though, of course). Depending on the speed of your Internet connection and how much data you’re syncing, it could take a while for the process to complete. Just wait until each folder has a green check mark next to it, indicating the syncing process was successful. Almost every DropBox user should take advantage of selective sync, because it can drastically improve your user experience and the speed of transfers. Basically, it allows you to trim the fat away from file syncing. Some files may not be appropriate for syncing, such as archives and data that is only pertinant to a specific operating system (i.e. Mac software installation files are worthless on a Windows machine). However, there is one last problem to discuss. What if you sync a file that exceeds the amount of free storage space on your local machine? Well, the syncing process will fail, but you do have a few options. Firstly, you could compress files into archives to save disk space for data that you don’t access very often. Lastly, you could choose to upload local data to DropBox to free up local storage resources.